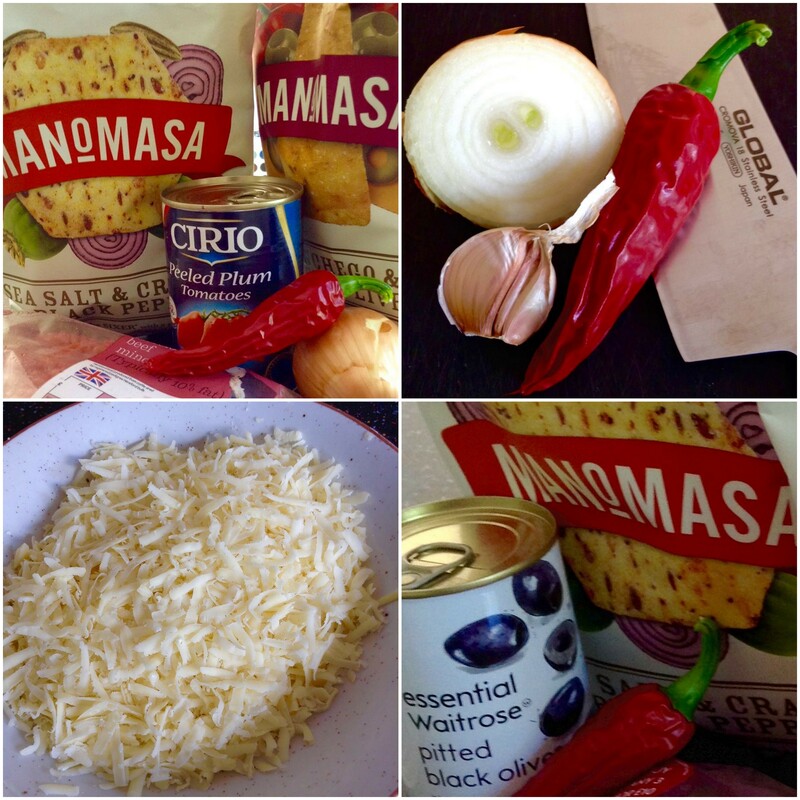 The Manchego & Green Olive variety of tortillas brings out the flavours of cheddar, chilli and black olives in my recipe. My second secret is to make a succulent tomato sauce to flavour the beef mince. This also keeps the mince from getting too dry. I used a hand blender to blitz some plum tomatoes, garlic, onions and my home grown Espelette peppers. Use hotter peppers if you like it extra spicy. 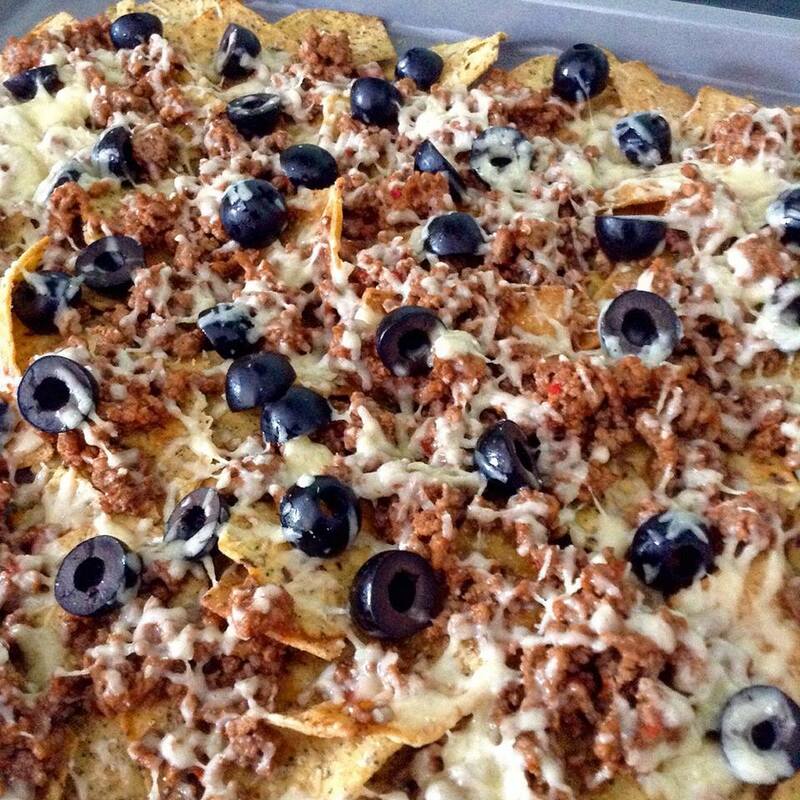 Chilli fiends can also add Tabasco sauce or other hot sauce at the end, on top of the baked nachos. You only need half a cup of tomato sauce to flavour the beef mince so you can save the leftover sauce for pizza or pasta. It will be even more succulent after a few days in the fridge! For a shortcut, you can always use ready made sauce in a jar but it won’t be as tasty. Preheat the oven to 200°C (180°C for fan-assisted ovens) / 400°F. 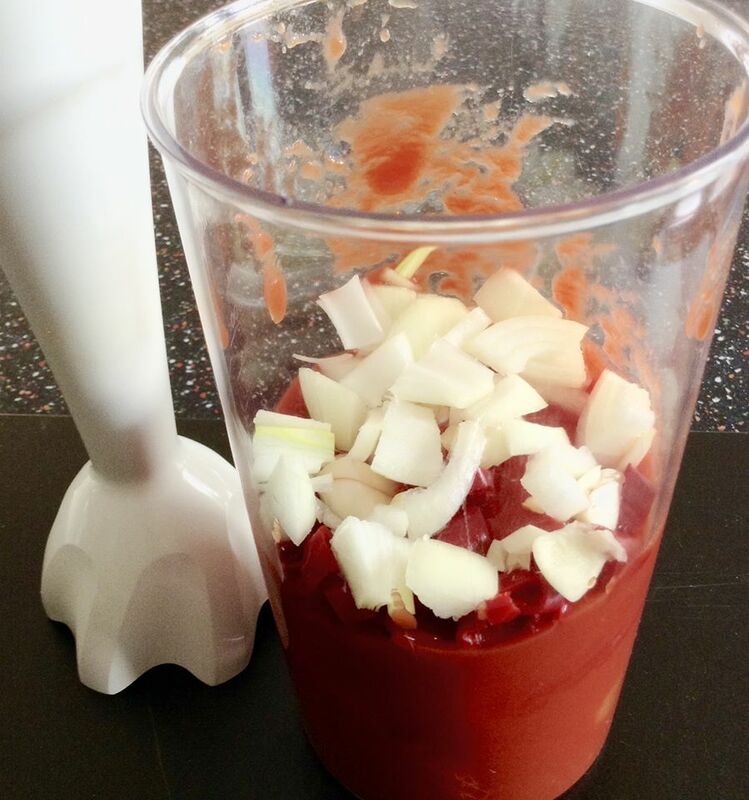 Using a hand blender, add the chopped onion, chilli pepper and garlic to the plum tomatoes. Blitz until smooth. Set aside. 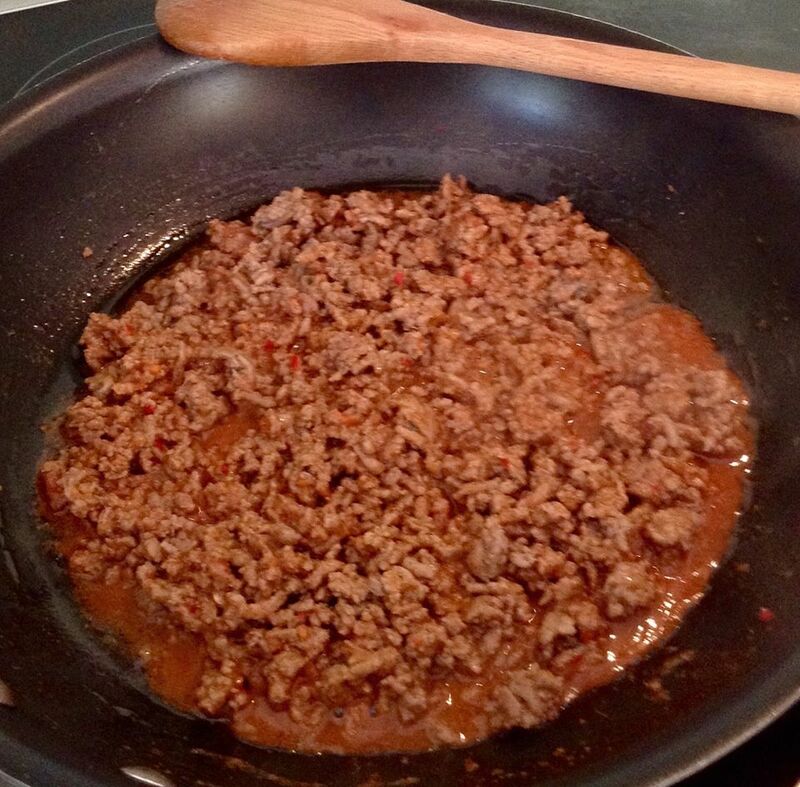 Add a little olive oil to a skillet and cook the beef mince until it is no longer pink. Stir in one half cup (125ml) of the tomato sauce and keep cooking until the sauce has thickened a bit and blended with the mince. 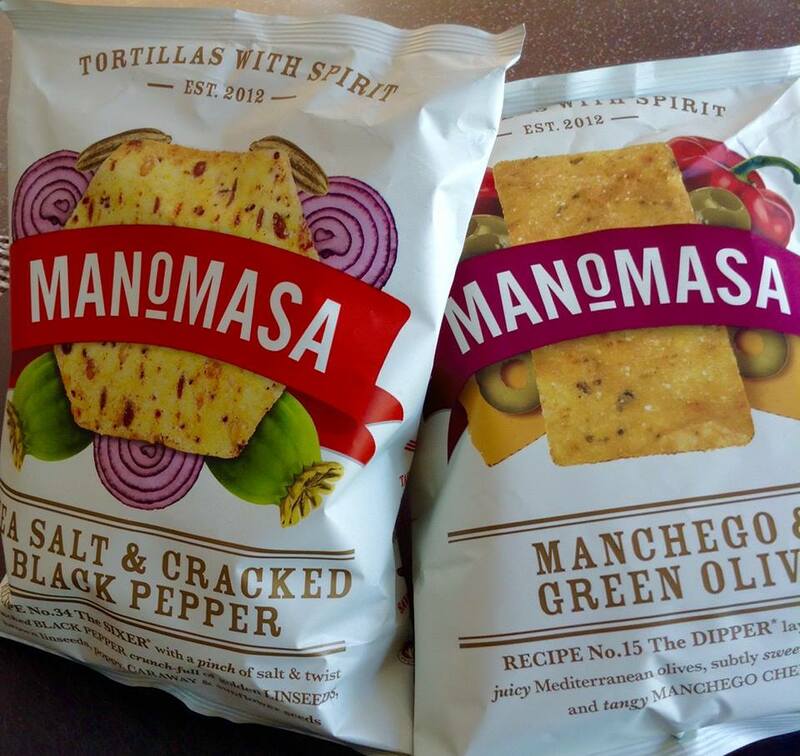 On a baking tray, spread out a whole pack (160g) of Manomasa Sea Salt & Cracked Black Pepper tortillas and half a pack of the Manchego & Green Olive tortilla chips. Top with beef mince, then sliced black olives and lastly, grated cheddar. Place in the top half of the oven and bake for 4 or 5 minutes until the cheese has melted. 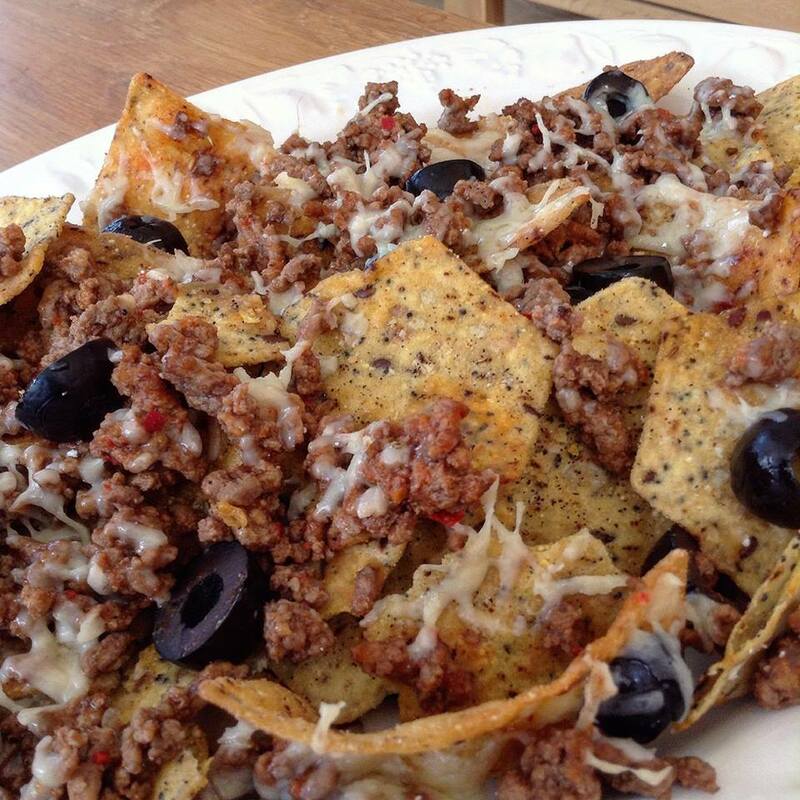 Use a spatula to scoop the nachos onto plates. Serves 4 (or 2 hungry teenagers!). Now comes the fun part… digging in. Olé! You can find Manomasa tortillas at Waitrose, Ocado, Whole Foods Market, Fortnum & Mason as well as independent delis and farm shops, such as The Larder at Burwash Manor near Cambridge. What are your suggestions for additional toppings? Let me know in the comments below. Although Manomasa provided me with free samples of their tortillas through Palm PR, all views are my own. I did not receive compensation for my recipe or this blog post. 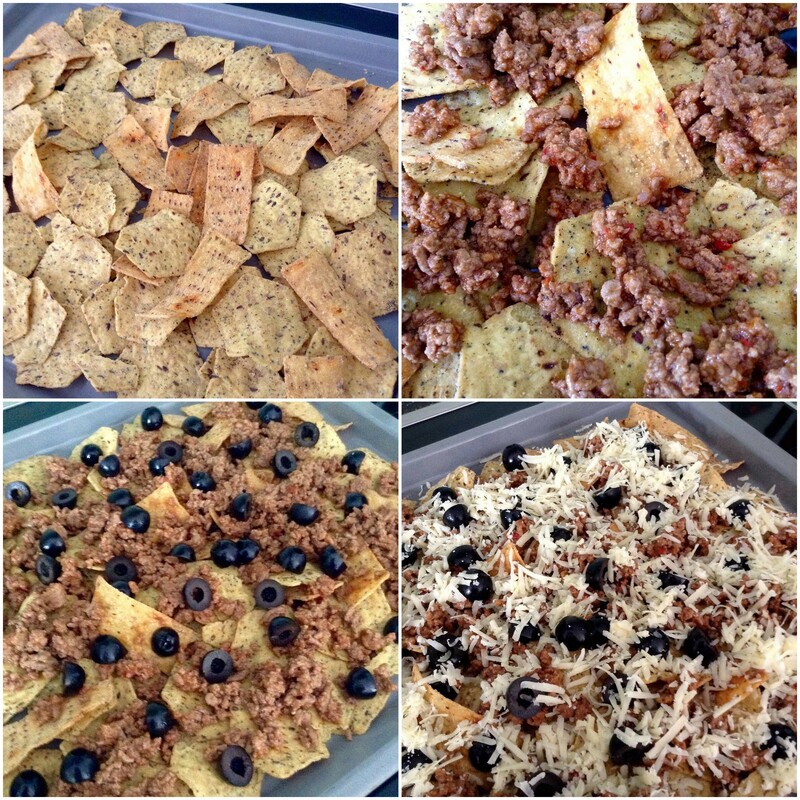 This entry was posted in Our Kitchen and tagged beef mince, black olives, cheddar, Espelette peppers, Manchego & Green Olive, Manomasa, nachos, plum tomatoes, Sea Salt & Cracked Black Papper, tortilla chips, tortillas by One Two Culinary Stew. Bookmark the permalink.